I recently observed “The Great Space Debate,” a public high-school debate competition put on by the National Association of Urban Debate Leagues. The team I was rooting for lost. This year’s debate topic was: “Resolved: The United States federal government should substantially increase its exploration and/or development of space beyond the Earth’s mesosphere.” Earlier in the school year I’d been contacted by a few students who had come across some of my publications on the history of and rationales for space exploration. Lauren Loper and Stephanie Jimenez of the Dallas, TX, Urban Debate Alliance, argued in the affirmative that expanding the U.S. space program is vital to the U.S. economic future: “Space exploration challenges the human mind,” and greater investments in the space program will improve science, technology, and math (STEM) education and stimulate innovation, thereby improving economic strength and competitiveness. For every dollar spent on the space program, the U.S. economy gets many more dollars back. Commercial “spinoffs” of technologies developed for space exploration justify larger investments in the space program. Space infrastructure development is vital to maintaining the U.S. image abroad as “a global hegemonic power.” And increasing investment in the space program would also be an incentive to pursue greater international cooperation in space, which would help the United States maintain its hegemonic position. The panel of 14 judges favored the Dallas team’s neoliberal argument, by a vote of 10 to 4. Among the 14 were five government and corporate officials in the national security sector (all male), three government and corporate attorneys (all male), two museum curators (female), and three educators (female). I’d love to know how the vote broke down…. I know, I know, it was just a debate. 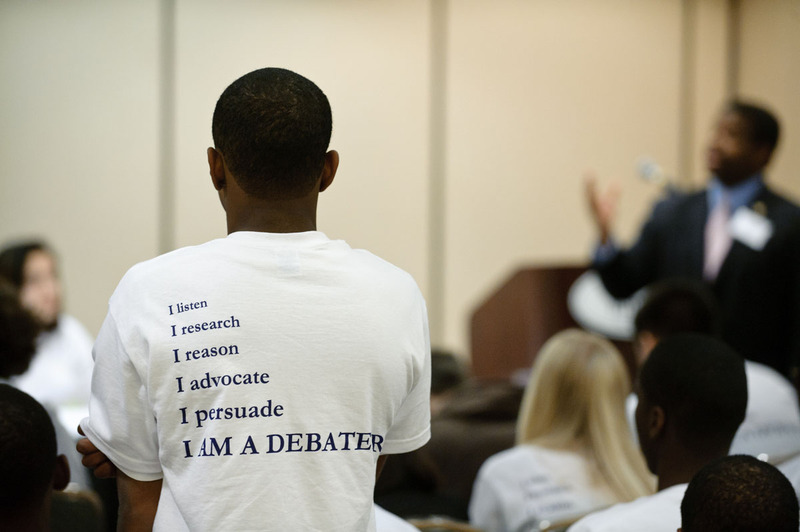 The debaters train to argue both the affirmative and the negative for their assigned topic. What they argue for is not necessarily what they believe. But these are high-school students…. I worry…. In a recent issue of Social Studies of Science,** STS*** scholars Rebecca Lave, Philip Murowski, and Samuel Randall urge fellow STS scholars “to undertake a detailed exploration of exactly how the external political-economic forces of neoliberalism are transforming technoscience.” I hope the Baltimore debaters can sustain their critique of “space neoliberalism.” Somebody needs to do it.